The rally aims to amplify engagement in current local, state and national races, to drive momentum and to encourage voter turnout in the critical election on Tuesday, Nov. 6. The scheduled speakers include U.S. Senator Richard Blumenthal, U.S. Rep. Jim Himes and Democratic candidate for Governor Ned Lamont. 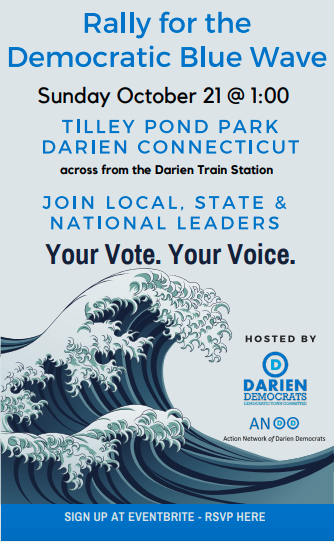 The Darien DTC invites voters from across the 4th Congressional District — including Greenwich, Stamford, Norwalk, Westport, Fairfield, Bridgeport, Trumbull, New Canaan, Ridgefield, Redding and points in between — to join with their Darien neighbors in support of our shared Democratic candidates and shared values. 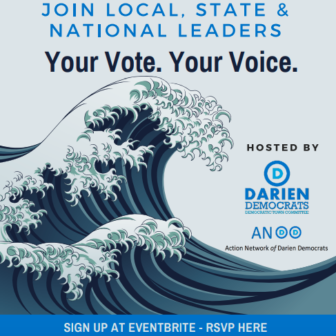 The Action Network of Darien Democrats (ANDD) is an outreach committee of the Darien Democratic Town Committee fueled by local Democrats of all life experiences organized to spark and sustain progressive momentum locally and nationally while creating local relationships rooted in shared democratic values. The rally is a chance to answer the call: to raise your voice, to participate, to stand for the issues and values that are central in the upcoming election. “After two years of President Trump’s efforts to divide Americans along cultural, racial and economic lines, the Darien DTC believes that it is time for Americans to unite and send a message to Donald Trump and to his party that America as a ‘House Divided’ is not our vision of America, said David Bayne, Darien Democratic Town Committee chair. The rally aims to encourage people to participate in their most important job in maintaining the health of our democracy — making sure their voice is heard. 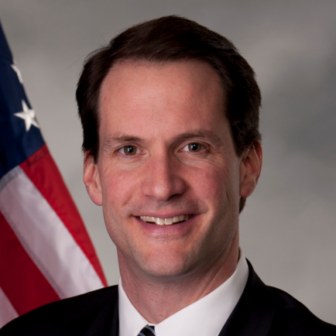 “It has never been more important to organize to protect our democracy and gathering together on Oct. 21 is one way to have our collective voices heard here at home and nationally,” said Shannon Silsby, Darien DTC member and one of the founders of ANDD. “We must turn our frustration with current policies and leadership into action to protect access to healthcare, quality education, women’s rights and our environment while remembering we are a nation of immigrants and work to restore the soul of our country,” she said. Your vote is your voice. Make it heard on Oct. 21 in Darien as well as at the ballot box on Nov. 6. Register today for the “Rally for the Democratic Blue Wave” on Eventbrite. If you would like more information about this topic, please call Shannon Silsby at 203-273-2323 or email at thesilsbys@optonline.net. 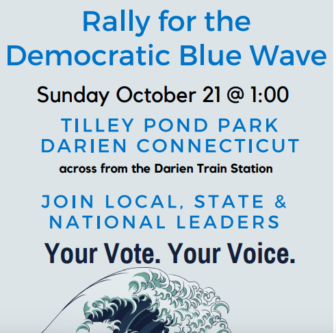 Rally participants are encouraged to take the Metro-North train to Darien Station, or to park in Darien’s municipal lots at Darien Station, off Mechanic Street or off Leroy Avenue. The Darien Democratic Town Committee (DTC) is the Democratic Party organization in the Town of Darien responsible to the Democratic State Central Committee and state and federal Election Laws. The purposes of the Democratic Town Committee include electing Democrats to office, organizing and directing general election campaign, studying and recommending improvements in local government, educating the public on relevant issues and sponsoring and encouraging constructive Democratic Party activities. To the editor: The Darien DTC has met with most of the candidates in the August 14 primary and endorses Ned Lamont for governor, Susan Bysiewicz for lieutenant governor and Darien’s own former state Representative William Tong for attorney general. For Treasurer, both Dita Bhargava and Shawn Wooden have garnered much respect and no endorsement was given. Greenwich resident Ned Lamont beat the felonious Bridgeport Mayor Joe Ganim by 88.2 percent to 18.8 percent across the state. In Darien, the percentage difference was much higher: 94.31 percent to 5.69 percent.